I had every real intention of being a race car driver when I grew up. For my 6th birthday, I got the cutest yellow race car, the kind you can sit in and drive. Today it would have been electrically powered, but back then it had foot pedals. Then as I got older, each Christmas, I would ask for a bigger and better race track. Before drifting off to sleep, I'd imagine the controls in my hand and how great it was going to be to speed around that track and beat my sister. At the arcade, I cared not a wit for Pacman or Donkey Kong, I went for anything with a steering wheel attached. Then, at the age of 14, my dream was killed. A science teacher overheard a conversation I was having with a friend about my Formula 1 aspirations, and he chimed in - to be a race car driver you have to improve in math. There's a lot of formulas to learn, you have to understand physics - Mass x Acceleration etc... And that folks, was the end of my racing career :( He may as well have splashed a bucket of cold water on me, so devastating and dismaying were his words; because alas, Le Anne Lindsay could not then, nor now, comprehend more than simple addition, a little arithmetic, and let's not even discuss fractions. 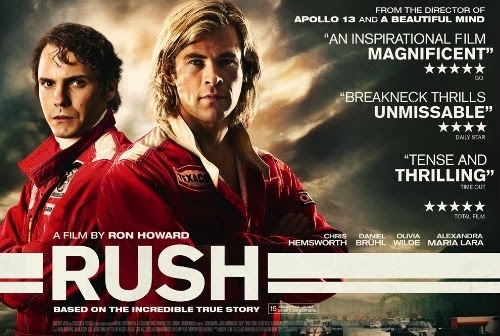 Watching Ron Howard's Rush written by Peter Morgan (Frost Nixon, The Last King of Scotland) brought back so much of what I loved as a kid about the idea of driving fast and winning! 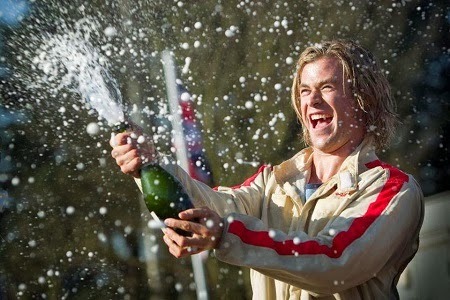 This movie is a thrill ride! T&T Rush Synopsis: Rush is about two men on the opposite ends of the spectrum, yet trying to occupy the same space. 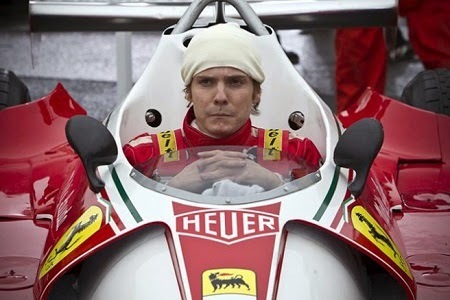 Niki Lauda (Daniel Brühl) is a no-nonsense, jarringly blunt Austrian from a good family of bankers, lawyers, businessmen and politicians, who will not abide Niki's intentions of becoming a professional racer; so he wipes his hands of his family and never looks back. 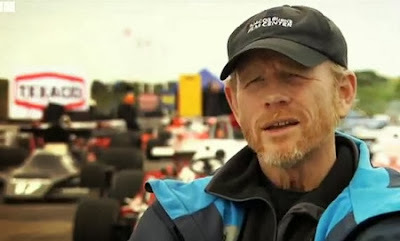 Niki's love of racing seems to stem from ego and an astounding aptitude for building and understanding cars. He's not in it to beat death - his motto: 20% risk - that's his limit. James Hunt (Chris Hemsworth) on the other hand is all about the risk, the danger, the adrenaline, staring death in the face and living to the fullest! He's gorgeous, charismatic, attracting a steady entourage of both women and men who forgive him for being childish and love him for all his boyish charm and zest. The relationship between these two men is too fiery to be a friendly rivalry and too amiable to be considered mortal enemies. Instead it falls into a rhythm of impassioned irritation, healthy competition, serious provocation and grudging respect. What's pleasing to me: is that it's Not in 3D. Thank you Ron Howard for going old school. The racing action was crisp, adrenaline inducing and visually powerful without the need to sit there in stupid sun glasses. It's great Lauda is still alive and was able to add his input into the movie, yet even without a first hand account by Hunt, it's a very even handed look at both men's lives during this exciting year of racing history. 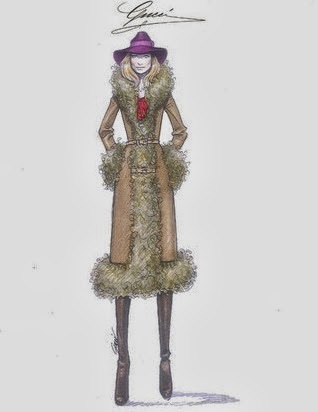 Loved the 70's mod leather and fur coat Suzy Miller (Oliva Wilde) wears in her first scene. Was very amused by Lauda ability to win over the lovely Marlene (Alexandra Maria Lara) despite his lack of romantic charm. I wonder why: we all know Mario Andretti who raced with these guys, but until this movie, I never heard of Niki Lauda or James Hunt? Oscar Race: Rush joins my pick of Oscar contenders along with (click for posts) Blue Jasmine, The Butler, Fruitvale Station, and 42. T &T's LAMB Score 5 out 5! INTERESTED IN BEING A BLOG CONTRIBUTOR?